We love visiting the south Jersey shore and our favorite place to visit is North Wildwood. It's quieter and more laid-back than the rest of the island. 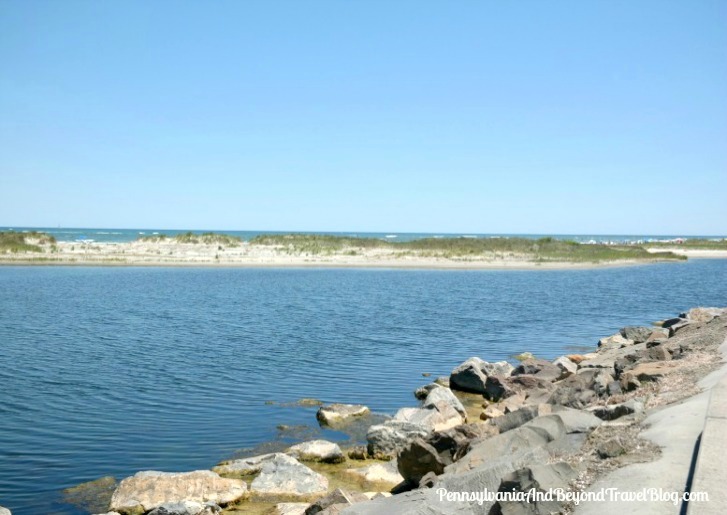 Plus, if you're looking for the prettiest ocean views and beaches...you'll find them in North Wildwood! Every time we're down for a visit we spend a lot of time walking up and down the North Wildwood Seawall. 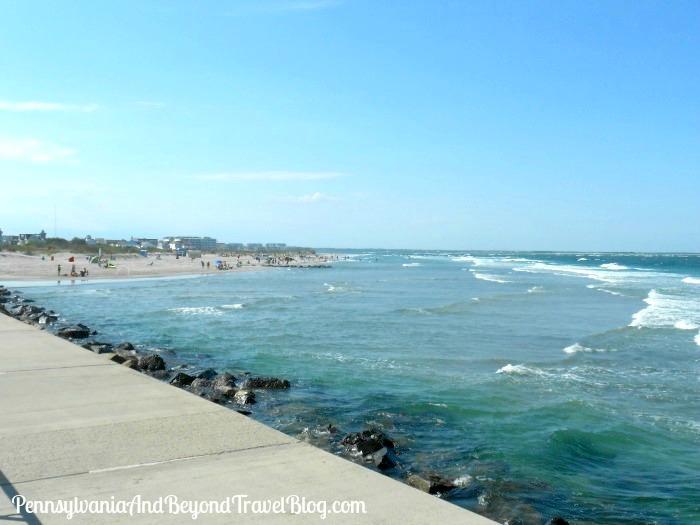 It's a "paved" walking path that runs right along the Atlantic Ocean and the beaches. If you're handicap, you'll find several areas that offer ramp-style entry points and there are a couple of public restrooms along the way. Once you're up on the seawall you'll be treated to some of the most gorgeous views of the Atlantic Ocean and the beach. If you get up early in the morning, you can stand or sit up on the seawall and watch the sunrise. It's absolutely beautiful to see! In the evening if you look towards the west (the bay area & the mainland) you'll see the sunset. If you're looking for a beautiful place to sit...head to the park benches that are located directly behind the historic Hereford Inlet Lighthouse. These benches are NOT shaded, so you'll be sitting out in the sun. 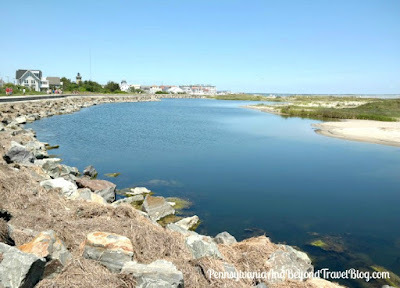 You'll get unobstructed views of the Hereford Inlet and the Atlantic Ocean, it's also a great area to spot some of the local area wildlife (butterflies, rabbits, seabirds, etc.). When I want to do some dolphin watching, I head up to the seating area located on JKF Blvd. and near 3rd street. It's part of the North Wildwood Seawall and you'll find a lot of different seating areas there. We see dolphins there quite often when we're up there and in my honest opinion, one of the best viewing areas on the island. All of the photographs that you're looking at today are of the North Wildwood Seawall and/or of the Hereford Inlet and Atlantic Ocean while standing/sitting on the seawall. As you can see, it's definitely the prettiest area on the island and one of my favorite places to go!